Yesterday at the Hulu Upfront Presentation in New York's Hammerstein Ballroom, they announced that Hulu has acquired the exclusive subscription video on-demand (SVOD) rights to all episodes of iconic sitcom Seinfeld, as well as a new, multi-year agreement with AMC that grants Hulu the streaming rights to future programming from AMC Networks. In addition to presenting groundbreaking content deals and the upcoming slate of Hulu Originals, the company took the stage to publicly unveil new business growth benchmarks - including a 50% increase in subscribers - advertising innovations, and a deal with Cablevision Systems Corporation that will be rolled out over the next year. 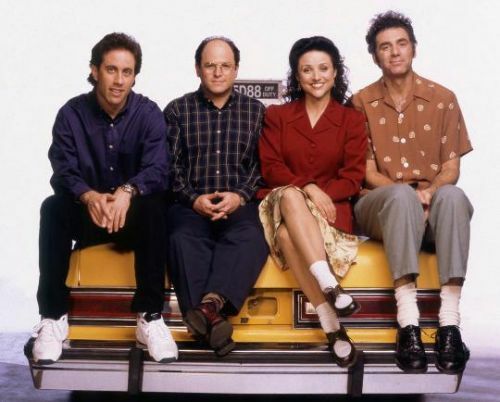 Back to Seinfeld, Hulu has acquired the exclusive SVOD rights to all episodes of the award-winning, hit series. After becoming one of the most successful sitcoms of all time, all nine seasons of the timeless comedy series will make their SVOD debut exclusively on Hulu. The series comes to Hulu in a new deal with Sony Pictures Television. Every episode of Seinfeld will be available for Hulu subscribers to stream this June. 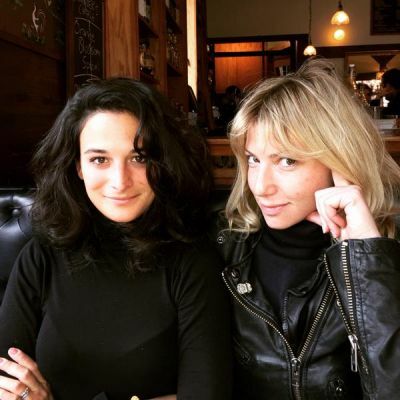 FX Networks has ordered a pilot co-created by the award-winning team of Gillian Robespierre and Elisabeth Holm, starring Jenny Slate and Ari Graynor. Production of the pilot has begun in New York. Robespierre (Obvious Child) will direct the pilot and write it with Holm (Obvious Child, Welcome to Pine Hill), both of whom will serve as Executive Producers along with Ravi Nandan and John Hodges of A24 Films (The Bling Ring, Obvious Child) and Slate (Obvious Child, Married). The pilot is being produced by FX Productions. The pilot is an honest comedy exploring the adult female friendship of two creative partners as they embark on a cross-country road trip. Jenny Slate and Ari Graynor (For a Good Time, Call... , Bad Teacher) star as "Lou" and "Viv," two gutsy born and raised New Yorkers who discover each other in their 30s, make a movie together, and jump into the great unknown of their next project. Lou and Viv find strength and vulnerability in each other, learning how to have a fight and somehow still get back in the car. It's like Thelma and Louise - but nobody dies. The pilot is the first major project for Robespierre, Holm, Slate and A24 Films since Obvious Child, a 2014 romantic comedy that marked Robespierre's feature film directorial debut and starred Slate. Among other awards for the feature, Robespierre was honored with the National Board of Review USA Award for Best Directorial Debut, Holm won the Red Crown Producer's Award at the 2014 Sundance Film Festival, and Slate received the Broadcast Film Critics Association Award for Best Actress in a Comedy Movie. Slate currently co-stars on the FX comedy series Married, which is returning for its second season on Thursdays at 10:30 PM e/p, beginning July 16. Graynor most recently starred on the CBS comedy Bad Teacher. Stay with us for continued updates, should this pilot move forward as a series. 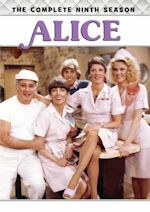 One Day at a Time joined Antenna TV's permanent lineup in April and currently airs weeknights 11pm-12am ET and Sundays in primetime from 9-10 pm ET. Bravo Media continues its foray into scripted programming announcing the development of three new series including My So Called Wife, a dark comedy from Adam Brooks and Paul Adelstein following a female con-artist, White Collar Wives, revealing the scandals surrounding a FBI investigation of a New York hedge fund, and All that Glitters, a mini-series based on the book examining how Anna Wintour and Tina Brown dominated the 1980's publishing world. Season one of Bravo's first original scripted series Girlfriends' Guide to Divorce averaged 824,000 A18-49, 910,000 A25-54 and 1.38MM total viewers in Live+7. 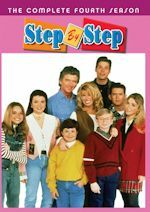 From Universal Cable Productions, the series is scheduled to commence production on season two early this summer. Additionally, Bravo's first half-hour scripted comedy series, Odd Mom Out, will premiere with back-to-back episodes on Monday, June 8 at 10pm ET/PT. The series stars acclaimed author Jill Kargman playing a satirical version. Stay with us for more on that series and stay tuned should these other thre projects move forward. BET Networks announced its upcoming programming schedule for BET and Centric at its annual Upfront presentation. BET Networks' 2015 slate features more original programming hours than ever before in the history of the network, anchored by high quality scripted and reality shows, star studded tentpoles and original movies that reflect and celebrate the lives of African American adults. 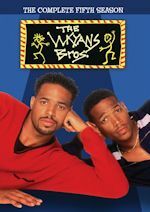 Among the big news was a sitcom starring Brandy (Moesha, The Game). 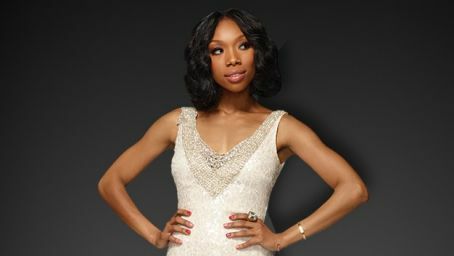 The sitcom is Zoe Moon, a romantic sitcom featuring Zoe Moon (Brandy Norwood), a live-out-loud newly single mom embarking on a new life and career as a fledgling cosmetics mogul - but it won't be easy. Gemini, a famous boxer and Zoe's soon to be ex-husband, is not ready to take a back seat in her life, nor is her precocious 8 year-old son, Xavier, ready for Zoe's new dating life. Surrounded by a cast of colorful characters, Zoe puts a new spin on the old song "You're Gonna Make It After All!" Other projects coming soon include a reboot of Punk'd, the popular hidden camera series tailored for the BET audience. For the first time, audiences will be taken behind the scenes as the pranks are conceptualized and carried through. Stakes are high as our viewers follow the ticking clock on the journey of pranking their favorite celebrities. Also reality project, Chasing Destiny takes us behind the scenes as Grammy-award singer Kelly Rowland, and member of one of the biggest female groups of all time Destiny's Child, goes on a quest to find the next big female superstar group to make their mark in a dog-eat-dog music industry. And sister network Centric has a project coming soon produced by Whoopi Goldberg! 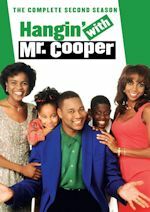 In According to Alex, Alex Martin Dean (Whoopi's daughter) is NOT your typical mom, and she doesn't have a typical family. Sure, they get loud and have their own drama, but in the end, there's nothing but love! Now that the kids are getting old enough to step out of the house and make their own plans, Alex and her best friend, Leisa, are talking about what they want to do with the rest of their lives, both professionally and personally-- that is, until a new grandchild, Alex's daughter Amara and her fiancé, Chris, move home, turning to Alex and the rest of the family to help raise their new baby girl. Can they balance family, fun and future plans without losing their cool, or their minds? Actor Sawyer Sweeten, who starred as Geoffrey Barone in Everybody Loves Raymond, has died. He died on April 23 from a self-inflicted gunshot wound at his relative's home in Austin, Texas. He was only 19. 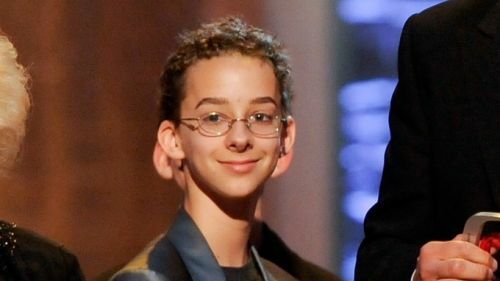 Ray Romano had this to say about him: "He was a wonderful and sweet kid to be around. Just a great energy whenever he was there. My heart breaks for him, his family, and his friends during this very difficult time." Our thoughts are with his family. He will be greatly missed. 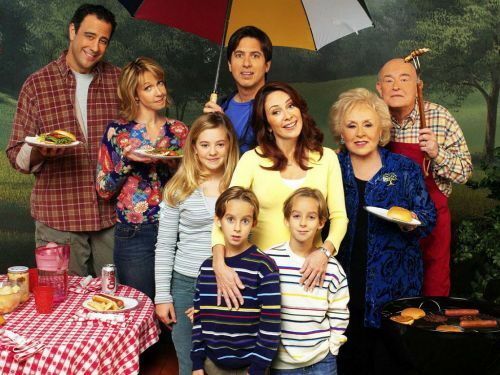 Share your memories on our Everybody Loves Raymond message board. Total Viewers: #1. CBS 9.410 million (-8% from first four nights week 30); #2. ABC 7.506 million (+10%); #3. NBC 6.661 million (+11%); #4. Fox 4.397 million (-4%); #5. The CW 1.805 million (+2%). We have the final ratings for Week 30 (4/13/15-4/19/15 LIVE+SD). Among Adults 18-49, CBS won the week with a 1.80 rating helped by the ACM Awards. Then we had ABC at 1.43 followed by NBC at a 1.13, while Fox trailed with a only a 1.06 rating. For Total Viewers, CBS was first with 9.626 million, followed by ABC with 6.087 million, then it was NBC's 5.043 million and Fox trailed with 3.587 million. For season to-date (9/22/14-4/23/15 LIVE+SD), among Adults 18-49 we have NBC on top with a 2.09 rating, followed by CBS with a 1.84, ABC in third with a 1.61 and Fox sliding to a 1.58. In Total Viewers, it is CBS on top with 9.568 million, then NBC with 7.656 million, ABC is next with 6.386 million and Fox with 4.952 million.